The lack of judicial independence has indeed been singled out by human rights organisations as being one of the most problematic features of the Constitution. In 1999, judicial reform was high on Chavez’s agenda as the judiciary under the former regime was extremely corrupt and article 254 of the new constitution subsequently guaranteed judicial independence. Nevertheless, the Constitution leaves much to be desired when it comes to the protection of the judiciary’s independence. For instance, there is no definition of what qualifies as ‘serious misconduct’ in the event of a dismissal of high court judges in article 265 and there are no safeguards to protect judicial salaries. Moreover, in 2004, Parliament passed the ‘Court-Packing law’ (as it was subsequently dubbed by Human Rights Watch). This expanded the number of Supreme Court judges from 20 to 32, enabling the government to appoint twelve of its supporters and, essentially, stifling any possible dissent and criticism within the Court. The most striking example of the consequences of these laws was the unlawful detention of Judge Maria Lourdes Afiuni in 2009. She was jailed for having authorised the conditional liberty of a man facing charges of corruption. Despite her judgment being in accordance with both Venezuelan law and international requirements, she was charged with abuse of authority and ‘favouring the evasion of justice’. Additionally, in September 2012, Venezuela announced its intention to withdraw from the American Convention on Human Rights. Exactly one year later, this decision came into force, dismissing the Inter-American Court of Human Rights’ jurisdiction in Venezuela. 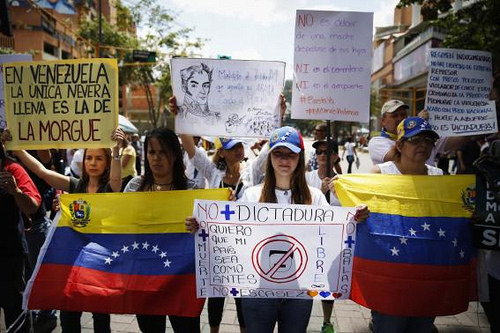 Venezuelans are now unable to seek remedy for human rights violations outside of their domestic courts, thereby substantially reducing the possibilities of obtaining justice in case of government abuses. This decision is constitutionally dubious. Article 23 of the 1999 Constitution assigns constitutional rank to international human rights treaties and sets them above internal legislation. However, this hierarchy is conditional on the following: ‘insofar as they contain provisions […] that are more favourable than those established by this Constitution and the laws of the Republic’. Thus the Constitution may not contain any specific provisions on how to leave a treaty, but article 23 can be interpreted to allow for the rejection of human rights treaties. In a letter to the Organisation of American States (OAS), Venezuela justified its decision to leave the American Convention on Human Rights on the grounds that the Court and the Convention had ‘become a political weapon aimed at undermining the stability of specific governments, especially [Venezuela]’s’. The letter claimed that it is because of the Court’s blatant disregard for certain principles of international law, such as respect for state sovereignty or the exhaustion of domestic remedies, that Venezuela felt compelled to denounce the Convention. Once again, the Venezuelan government invoked the ‘moral and political authority’ bestowed upon it by its Constitution to legitimise its report that the Inter-American Court of Human Rights had ‘distanced [itself] from the sacred principles [it was] called to protect’. The Venezuelan government’s use of the Constitution as a double edged sword – to explain away the violence that is occurring in the country and to pin it on the opposition – is not new. Yet the inherent paradox of constitutionalising rights is that the subsequent use of the constitution as a political crutch only underlines the government’s failure to uphold and respect these rights. As Roberto Gargarella points out, ‘failure to meet those social mandates ends up undermining the authority and legitimacy of the constitution’, not just of the government. This entry was posted in Constitutions and constitution making, International and tagged Annabelle Huet, human rights, Judiciary and human rights, student protests, Venezuela. Bookmark the permalink. ← The grass roots are withering and the money is drying up – so what is the future for local parties in general election campaigns?